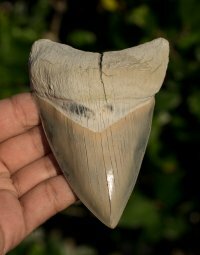 Superb Lee Creek Megalodon Shark Tooth [MEG2083] : Fossils Online, Welcome! 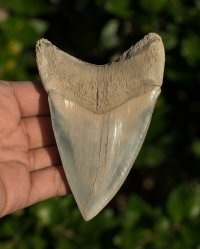 Fantastic tooth with phenomenal preservation. 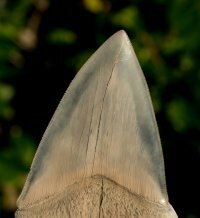 Razor sharp serrations, including the tip with only a couple damaged serrations on the entire tooth. Unusual shape with a tinge of blue along the edges.